Character and warmth achieved natural from our reclaimed wood. 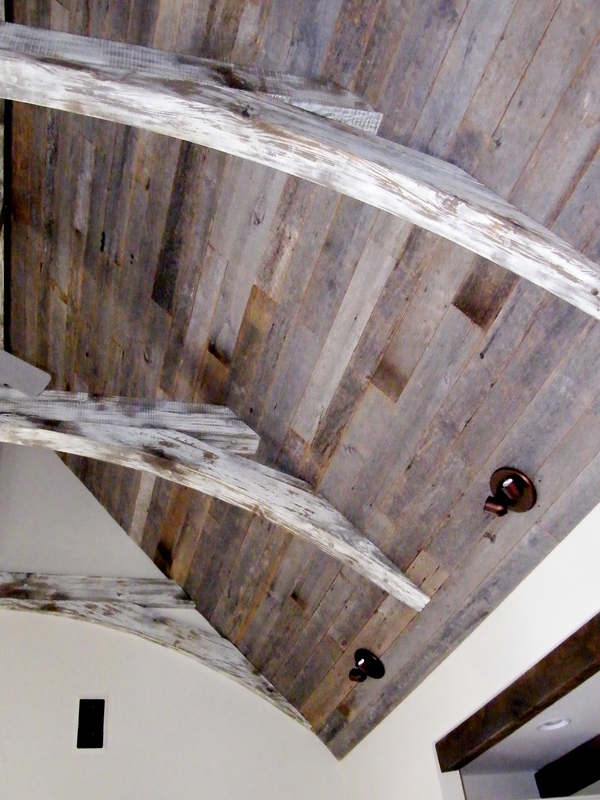 Our antique barn siding is reclaimed from barns across the Eastern U.S. I often refer to barn siding as “convertible” boards as either side may be shown. There are many color variations from faded gray exterior to the brown underside of the same board. Painted barn siding is usually well weathered, resulting in faded red, white and sometimes black colors. 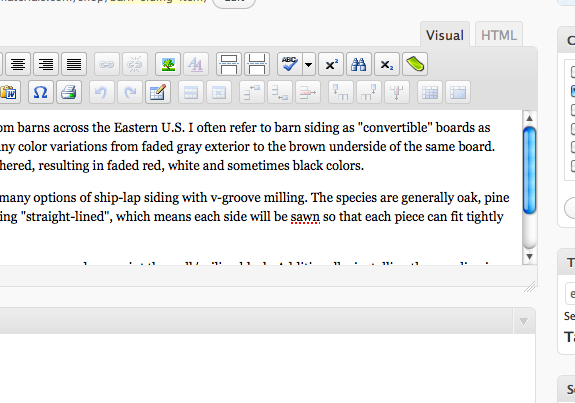 Boards are either in simple planks, but many options of ship-lap siding with v-groove milling. The species are generally oak, pine or poplar. We can have your barn paneling “straight-lined”, which means each side will be sawn so that each piece can fit tightly together. Suggestions: When installing paneling, we recommend you paint the wall/ceiling black. Additionally, installing the paneling in a plank form provides more character and dimension to your ceiling.